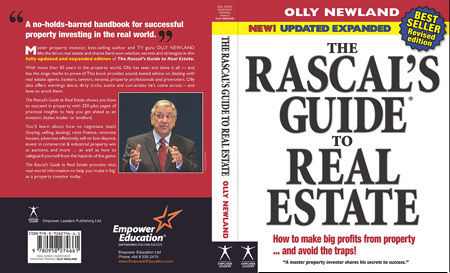 HIGH PROFILE investor, property expert and author Olly Newland’s best-selling book The Rascal’s Guide to Real Estate has been UPDATED AND EXPANDED in this THIRD EDITION. An instant best seller when first published, The Rascal’s Guide to Real Estate is a streetwise handbook for today’s New Zealand property investors. Veteran investor and advisor Olly Newland delivers a comprehensive, up-to-date, credible, no-holds-barred how-to manual for the serious NZ investor or home buyer. Olly is one of this country’s foremost property investors with more than 50 years experience in the property market (during booms and busts). 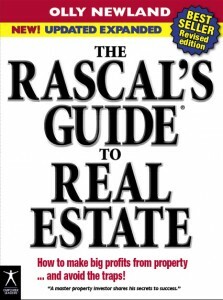 The Rascal’s Guide to Real Estate is a valuable resource for TODAY's investors and home owners, providing sound, tested advice — as well as a rollicking good read! This comprehensive, well-organised manual covers important information vital to succeed in residential and commercial property investing. Olly shares tips, techniques and tricks of the trade to help his readers succeed as an investors in the sometimes cut-throat world of real estate. View the book jacket LARGE here (click). ... and more! AVAILABLE NOW. Order from Empower Education.